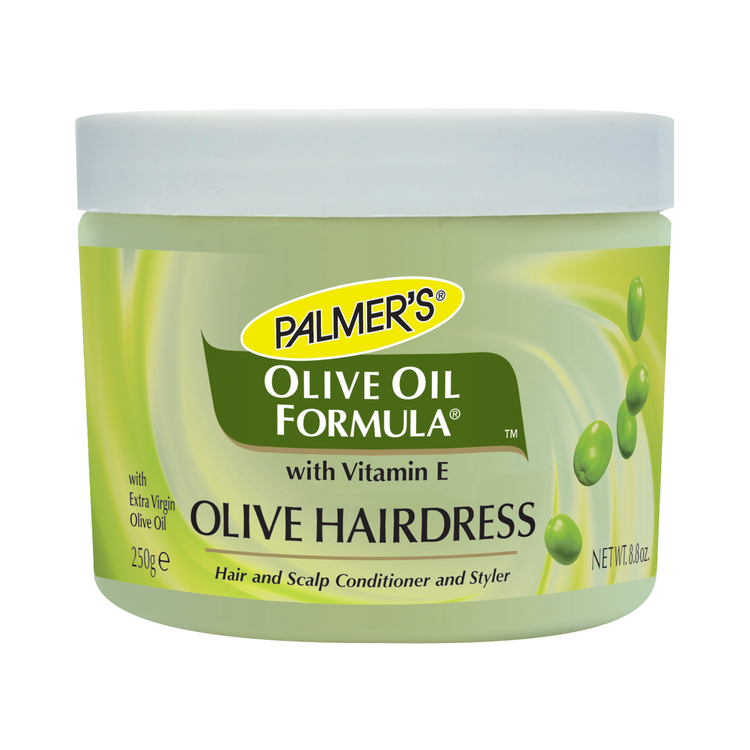 Home › NEWS FEED › Pomade › Palmer's olive oil with Vitamin E hairdress 250g. Palmer's Olive Oil Formula Olive Hairdress, a therapeutic balm formulated with Extra Virgin Olive Oil and essential vitamins, restores softness and manageability and leaves hair silky with a long lasting sheen. Apply to hair and style as desired.